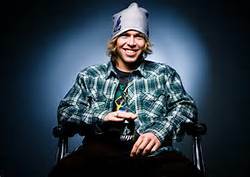 “The Crash Reel” is a gripping 4+ star movie about Kevin Pearce, a champion snowboarder who was expected to win a gold medal in the 2010 Winter Olympics. There is amazing footage of Kevin before and after his crash. The incredible love and concern of his family is readily apparent. Kevin’s dream is different now, and he has found a useful and fulfilling life. The movie/documentary will give you an inside look at one young man’s battle with TBI. I highly recommend the movie. What a wave of emotions. I love the drive and determination Kevin has and I cried when I heard his brother say he did not want Kevin to die. TBI is such a difficult intrusion into people’s as we know. 10 years after my accident I’m just beginning to be able to watch movies…..and only at home still….not many public events for me ! Yes, the movie was very emotional. It was hard to see such a young and accomplished young man, who was striving so high, to be cut down. Still Kevin is redirecting his energies to bring more awareness to the public eye of the hardships of living with Traumatic Brain Injury. I too hope to bring awareness to TBI with my book, “Prisoner Without Bars” (whenever it gets published). On a 2015 snowboarding trip to Mammoth CA, my husband had taken a few tumbles (as we all do), however, one fall was a bit more jarring with a whiplash type effect that severed his carotid artery and went undiagnosed without any symptoms (other than the usual 40 year old man aches & pains from snowboarding). Until 3 days later, when he suffered his first of a series of strokes. Total fluke with no similar cases that I could find. I’ve poured over the internet researching, learning, looking for support, and this is the very first time I’ve ever seen, heard, or in any way come across this story/movie. I am so glad that you found my blog. There really is a lot of information on it. I, and my husband, who has the brain injury, try to keep as up-to-date as we can. The “Crash Reel’ is a very good movie. There are many other movies, documentaries, and books that might interest you in Brain Injury Resources. My own book, “Prisoners Without Bars: A Caregiver’s Tale” is currently searching for an agent and a publishing house. If you or your husband are interested in providing a Survivors SPEAK OUT! or a Caregivers SPEAK OUT! interview for my blog, I would be happy to consider them. All of the directions are on the pages.